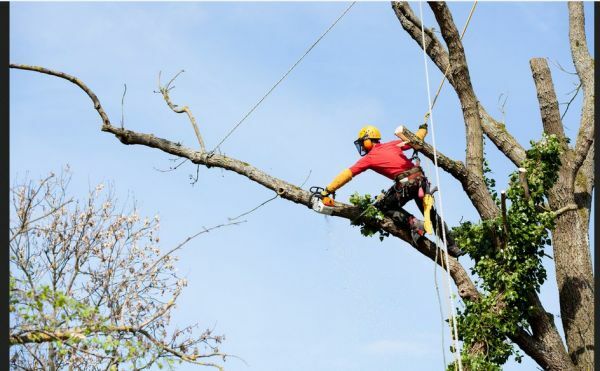 If you need top quality tree service work at reasonable prices, contact Tree Services Annapolis. We provide many tree services including tree removal, tree trimming and pruning, tree planting, stump grinding, lawn care, landscaping and more. We have many happy repeat customers throughout the greater Annapolis, MD area and throughout Anne Arundel County, Maryland. We believe that is because of our affordable pricing and our courteous and highly trained staff. Call us at 410-793-1013 or visit our website. We have an arborist who can evaluate your trees and shrubs and advise the best tree service for your situation. It may be some trimming or pruning or the tree doctor may recommend treatments for the tree to fight a fungus, mold, insect or other pest. Or recommend soil treatments so that the tree or shrub has the right nutrients to stay healthy and look good. A lot of the soils in the Annapolis, MD area are sandy and can need nutrients. Our staff has extensive training and certifications. This is important so there are no injuries and there is no damage to your property. We are bonded and insured as well. We also have emergency services, so we can come out quickly if you have a major problem such as a tree or large branch falling on your house in a storm. Our lawn care services include mowing, trimming, edging, fertilization, aeration, mulching, and flower rotation. For landscaping we provide a professional design service and implementation of grading, planting shrubs, perennial gardens, walkways, walls, patios, low voltage lighting and water features. So, for what we believe is the best lawn, landscaping and tree services in the Annapolis, Maryland area, contact Tree Services Annapolis at 410-793-1013. We specialize in all types of tree care and tree removal services. Call us today for a free consultation!